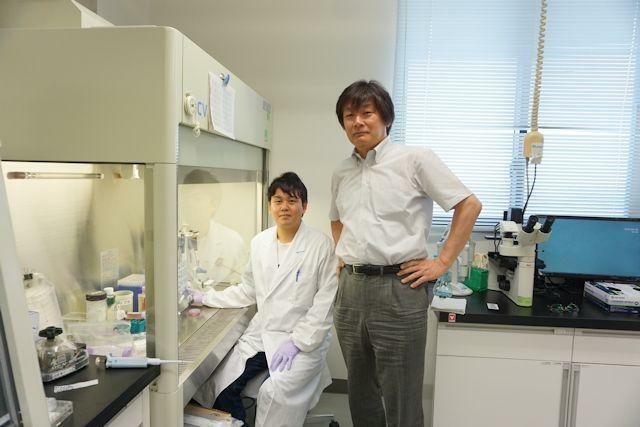 The project led by Professor Naoto Saito, director of the Institute for Biomedical Sciences (IBS), was recently featured on the NHK World program “Medical Frontiers” on July 10th, 2018. The endeavor is in collaboration with the Institute of Fiber Engineering, Shinshu University (IFES). To increase strength and resist friction and breakage, carbon nanotubes are added to the polyethylene typically used in artificial joints. The study was supported by an award from the Japan Agency for Medical Research and Development (AMED) and ran for 3 years starting April 1st, 2015. The show “Medical Frontiers” was broadcasted in 190 countries across the world. It can be watched on NHK on-demand until July 10th, 2019.